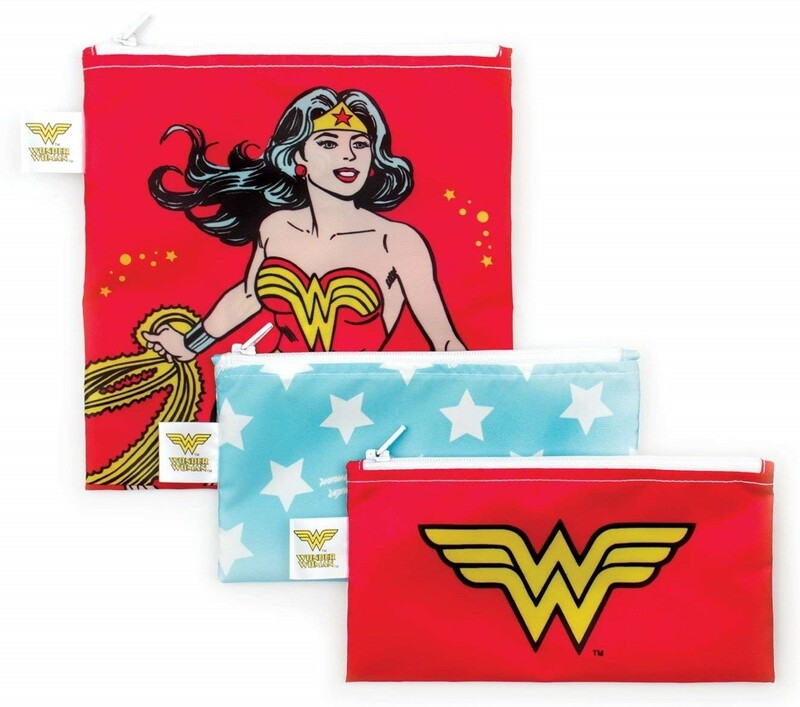 Reusable snack backs are the perfect alternative to single-use plastic baggies — and when they feature Wonder Woman, they're even more fun! These snack bags from Bumkins are made from easy-wipe waterproof fabric that's machine washable and dishwasher-safe (top rack) for easy cleaning, and BPA, PVC, vinyl, phthalate and lead free. A smooth zipper closure holds crumbs in and single ply construction means no worrying about icky stuff growing between layers of fabric. This set of three includes a large bag that measures 7" by 7", and two small bags that measure 7" across and 3.5" from top to bottom. 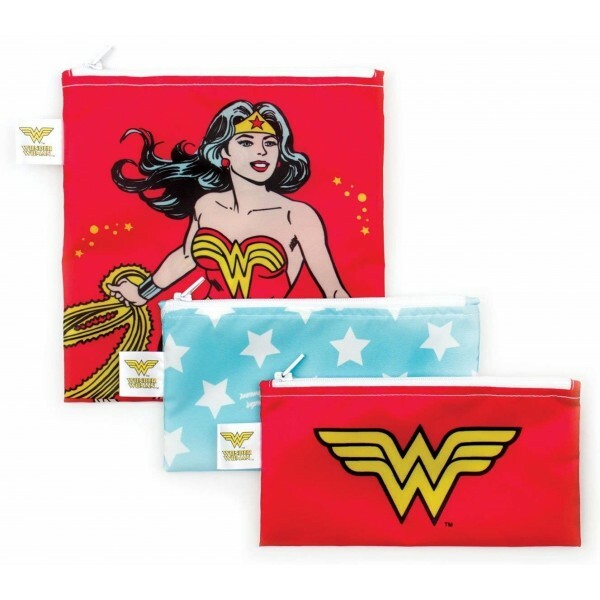 For more girl-empowering options for meals on the go, visit our Mealtime section in Kids Gear.